Lerma creates paintings, constructions, and installations reflecting the lives and traditions of the Mexican farmworker community in his hometown of Coachella. 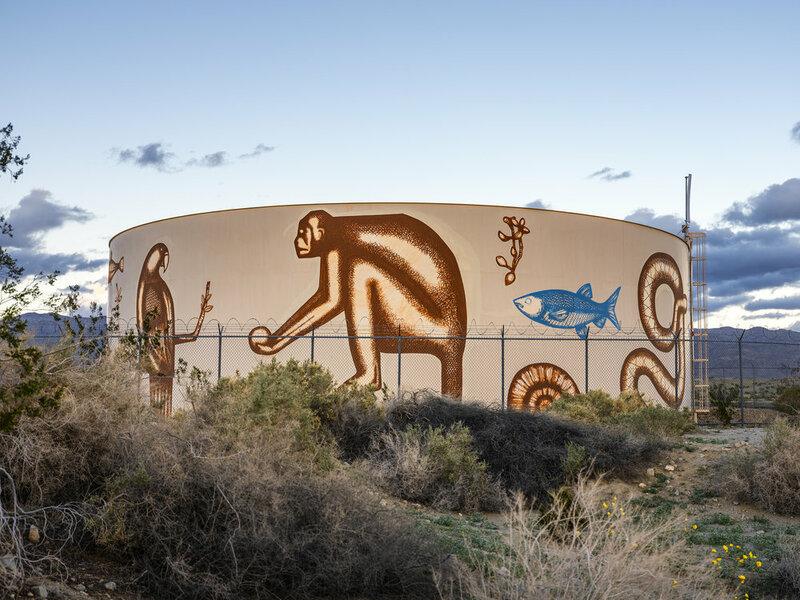 His work asserts a Chicano pop art aesthetic with a distinctive iconography and graphic style His mural, Visit Us in the Shape of Clouds, includes various images from the American Southwest and beyond such as snakes, birds, parrots, fish, monkeys, seashells, plants, flowers, and rock art. He selected these images to illustrate a story of migration and the transitory. This project is made possible with support of Farrow & Ball.